888 holdings who are most recognised by their award winning casino site 888.com are part of the Cassava enterprise group which are listed on the London stock exchange. Launched 888Sport in 2008 after joining forces with telephone and internet bookmaker Blue square. As well as investing millions in sporting sponsorship deals they have now delved into the sports betting industry. Keeping their original theme of a smart orange and black design, the 888sport website is easy to navigate and covers all popular sports including football, cricket, tennis, golf, snooker, horse racing and motor sport. Checking out the depth of their sporting markets it is clear that they don’t cover as many leagues in football as its competitors, but they do make up for it in the number of live in-play betting options the have on events covered. Racing i-card: A comprehensive guide to the days horse racing. Featuring all races in the UK, Ireland and some South African meetings, you can read form, check out course statistics, read the latest racing news, see which horses have been backed. Each race also has a predictor which takes all form into account and reveals which horse is likely to win. The Zone: Offers news and stories on a wide range of sports and other services including… Tips, pod casts, trends, and articles from former professional sports persons. At times this provides valuable information to help you make betting selections. Football facts: A good page to look at before making a football selection. Offers informative facts and stats on upcoming football matches. Other: Skrill, Neteller, ClickandBuy, Paypal, Paysafe Card, uKash. 888sport offer telephone customer support (10am-10pm) as well as email support. They also have a very large FAQ section which will provide most answers to any queries. New customers: Open an account with 888sport and place your first bet. As a welcome offer, 888sport will treble the winnings of your first bet. For instance, a £10 bet on a 5/1 selection would pay £150 profit rather than just the £50. A great offer to get you started. 88th minute money back special: If your selection in a football match loses due to a goal in the 88th minute, your stake will be returned in the form of a free bet up to the value of £50 ! 888th bet offer: If you place the 888th bet of the day on any day you will win £888… It’s as simple as that ! Probably not the best overall prices available but at times they give the odd great price in major league football and allow you to bet to high limits. 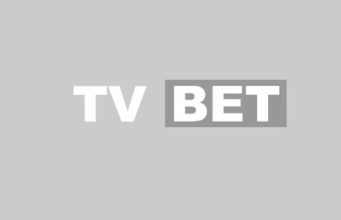 Why bet with 888 Sport? 888sport is firmly getting involved in the sports betting category. They are already one of the biggest names in online casino and gaming, and we can see that before long 888 Sport will be one of the bigger online sportsbooks. They already cover the most popular sports well, and they are beginning to offer a range of betting options in less popular sports also. Their live betting service is very good and user friendly and we also like the ease of their betting slip system. Payouts are very quick and efficient and the staff are very helpful.